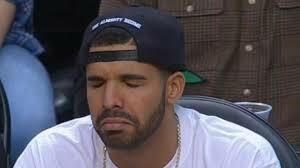 Drake is sad. Probably because of a girl. Today’s Buzz is by brand new Morning Buzzer Dr. Sarah Martin– connect with her on LinkedIn & Twitter! By the time you read this, I’ll be on a plane to Reno. Let me start by saying it’s not YOU, it’s ME. You see, I loved you before I knew you. When I was a little girl, while other kids in my apartment complex were planning their weddings to the lead singer of INXS, I was delivering a rousing campaign speech to my stuffed animals. I was also choreographing dances to Paula Abdul. But mostly speeches. The culmination of the speech would be my victory song, which at the time would have been something by New Edition. They would come out and everyone would cheer, because I won. I was gonna lead the people, and it was gonna be fabulous. 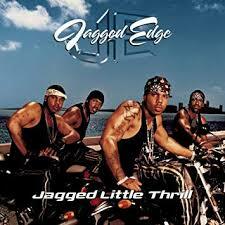 I have the same dreams now as a grown woman, but these days I imagine Jagged Edge coming out and doing “Where the party at” and handing out bottles of Bacardi. Then Nelly will surprise everyone and show up too… and the crowd goes wild. I flirted with you throughout college. At one point I said I was going to be a lawyer, but my LSAT scores decided it wasn’t meant to be. Against all odds–working class roots, sub-par GRE scores, a one year old baby on my hip–I made it to policy school and then a PhD. My first love was good government, and I fell into you time and again, in different cities and departments. First planning, then environmental quality, then what I felt was the end of my reckless years into public health. After a brief detour on the tenure track in academia, I couldn’t resist the pull of you. The title and the glory and the camaraderie of suffering for the sake of our people. We escalated quickly, didn’t we? A Deputy Director in my late 30’s, bypassing the decades wait for promotion that other people had to slog through–an outsider, a (gross… I hate this word) disruptor, brought into local government to shake things up. I was novel. I was exciting to you. I wore pencil skirts and heels every day. I tried my best for you. We had some good times. We made some real structural changes that did the most for the people who needed it the most… sometimes at the expense of support from those who felt like they lost all their power. I got my hair blown out for media appearances. We won awards. But somewhere along the way, I came home to my partner and realized that every time I walked through the door of my home I wanted to cry. I was mean to the people I loved. I was harsh and bitter and jaded. I cared so much about what we could do together. It consumed my waking minutes, and often my sleeping minutes. I gave and I gave and I gave, and it was never enough. So I need a break. It’s not forever. I love you, but I can’t be a part of you anymore. Now it’s my job to support from the outside and find ways to make you and your teams’ lives easier…to design tools to help people like you serve their communities in more efficient ways. I never thought I would be attracted to someone like a gov tech start-up. I didn’t realize it was possible to be people-driven and also pay attention to the bottom line. I didn’t realize how much I wanted to wear something called “dress pant joggers” to work. 1. Create a culture of failure. Every time you feel the urge to say “we did that a long time ago and it didn’t work” in a meeting, resist. There is nothing that squashes innovation faster than shushing your employees with a negative view of failure. Instead, try saying something like “oh, you’re on to something! I don’t know if the organization/office/world was ready for that last time, but let’s assess what went wrong and how we might avoid those pitfalls this time around”. Reward ingenuity and effort–our focus on “performance” can have the unintended consequence of dissuading risk. 2. Pave the way and give credit freely. In all of my travels around the country to different government agencies, I notice one persistent mark of a happy workplace–the tendency of leadership to call out their employees for the good that they have done. And I don’t mean at a one-time-a-year office potluck or awards ceremony. I mean on the day to day, in random meetings, in hallways. Leaders who really lead know when to get out of the way… they recognize that their career is a privilege and use their power to intentionally bring others up with them. They do not see giving credit as the root of resentment or irrelevancy. Praise is underrated, necessary and beautiful. Everyone wants and deserves to feel valued and cared for; do not assume that others know that what they do matters. 3. Call out the bullies. Just like on the subway or in an airport, if you see something, say something. As a leader, it’s your job to protect your people. It’s your job to take conflict head on and get into the ring with the lions sometimes. Office gossip, sabotage, backstabbing–there is no place for these things in a healthy workplace. Preach compassion and empathy as workplace skills on par with mastering spreadsheets or writing memos. Call in outside help like mediators or workforce development consultants as needed, recognizing that you may not have the right words to address the situation. Recognize that you might actually be the CAUSE of the situation. As the patron saint of offices Kendrick Lamar said, “Be Humble, Sit Down”. I think we are both going to be OK. I know I’ll be back with you one day–but for now, I’ll be on the sidelines, cheering you on and helping you as a friend. I’m sure we will cross paths at conferences, demos and procurement offices. And when we do, I’ll look at you fondly and remember a time I had to sit through 3 days of employee processing in a basement with no windows watching VHS tapes about being on drugs and operating forklifts. I’ll smile and sigh, and we will nod at each other knowing that this isn’t goodbye. It’s just a “see ya later”.